2016 MAZDA 3 GX COMFORT #3032, Nice clean car powered by an economical and responsive 2.0 litre Skyactiv engine with an automatic transmission Well equipped including air conditioning, tilt and telescopic column, power windows, power locks, keyless entry, AM/FM/ETR/CD, side & curtain air bags, back up camera, 4 wheel disc brakes with ABS, security and more. Finished in Meteor Grey Mica with Black cloth interior. Only 110,565 kilometers, Includes Mazda’s unlimited mileage warranty and fully eligible for the Certified Pre-Owned program with special finance offers. 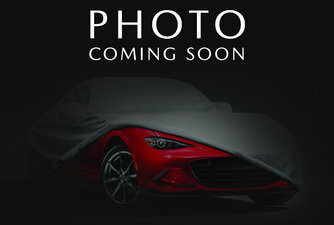 Interested by the 2016 Mazda Mazda3 SKYACTIV BACK UP CAMERA ?